'Invite to Chat' allows you to invite your customers to chat with you through a personalized chat link for your HappyFox Chat account. What is the purpose of 'Invite to Chat' anyway? 1. To invite a customer/visitor to chat with you, whose chat you missed in the past or those who sent you an offline message. 2. To test and experience how the chat widget works before installing on your website. 3. To make yourself available to chat, only for a specific set of customers. Note: Any Agent can use the Invite to Chat feature. How to Invite a Visitor/Customer to chat? 1. Log in to your HappyFox Chat account. 2. Click the "+" option located on the top in the left pane in the dashboard. 3. Select 'Invite to Chat' from the drop-down list. 4. 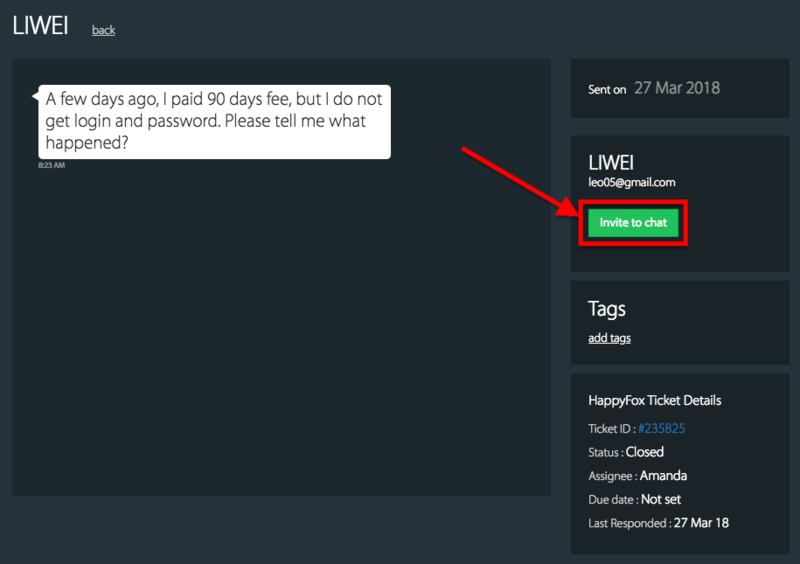 On the pop-up, an account specific chat link will be shown which you can share with your customers and open the link to test the chat widget. 5. You can find this option inside the offline messages. 6. 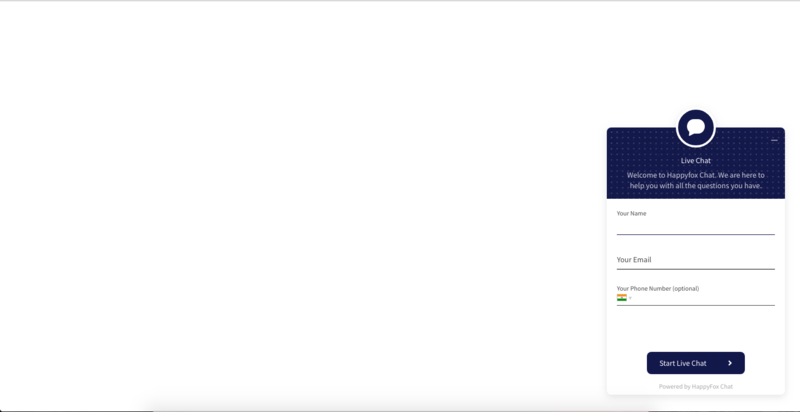 On clicking that link, you will be taken to a page with the chat widget. 7. The customer has to enter his/her 'Name' and 'E-mail address' to initiate the chat with the agents. If the Pre-chat form is disabled, then they can start interacting with the agents directly.